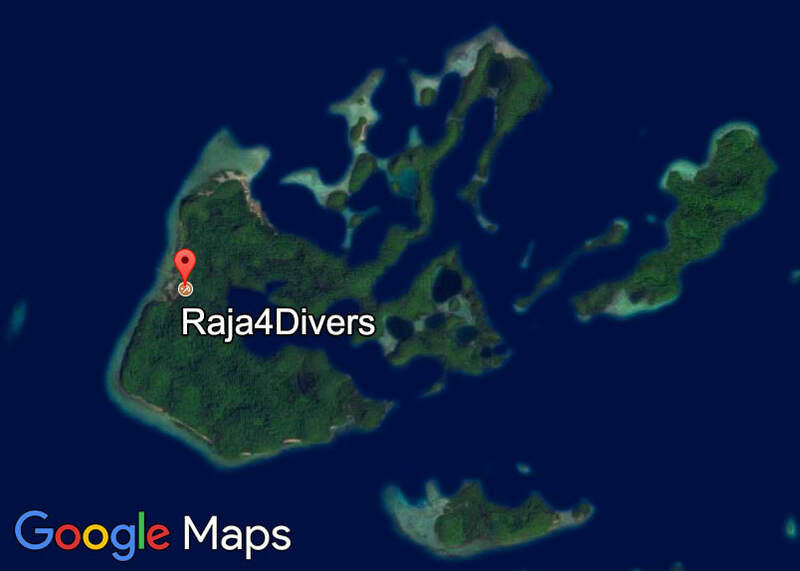 Please use this contact form for your non-binding Raja4Divers booking enquiry. Doris Leresche (info@raja4divers.com) will make you an offer according to your requirements and the latest price list. ​Guests are picked up by Raja4Divers at Sorong Airport (SOQ) on Saturdays (pick-up from other resorts on request). Departure from Pulau Pef to Sorong is Friday afternoon. The final overnight stay in a Sorong hotel is included in the package. Onward flight from Sorong is on Saturday. Please note: Our transfer boat from Sorong to Pulau Pef only waits for flights with a planned landing time in Sorong on Saturday before 9:30h! Our scheduled boat transfer from Sorong to Pef departs every Saturday morning. Our scheduled boats depart from Pulau Pef every Friday afternoon. Overnight stay at Sorong is included in the package. Departing flights from Sorong can be from Saturday morning (please keep your No-Flight Time in mind, we recommend no more diving 24h prior to departure). If requested, our partner travel agency will send you an offer for all desired flights. Please state your desired airport of origin in the comment section below. Accommodation + Unlimited Diving packages (incl. full board and free Nitrox). Accommodation packages only (incl. full board and join diving boats for free to snorkel). Each bungalow can accommodate 1 to 4 person. Please note any special occupancy (single, double, triple or 4-bed) in the comment field. If you’re travelling alone you can book SINGLE SHARE for the price of a half-double. You will then share the bungalow with another person or depending on availability have the bungalow to yourself.